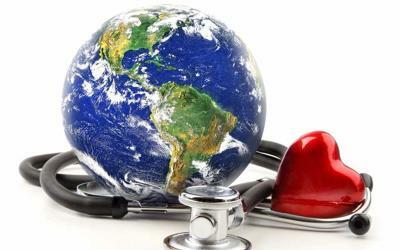 Increasing healthcare costs in developed countries are heating up the global medical tourism scene. According to the research firm TechNavio, the medical tourism market is projected to grow at a CAGR of 19.38 percent from 2015-2019. The industry is rapidly gaining popularity across the globe — as cosmetic dentistry tops the list of travel-abroad procedures, accounting for about a third of all health-related trips. Surgeries such as coronary-bypass and bariatric operations follows closely at 29 percent. About 13 percent of American medical travelers seek cosmetic surgery, and 7 percent get orthopedic procedures such as hip and knee replacements. In recent years, there has been a significant increase in the number of US patients traveling abroad for medical treatment. High healthcare costs and insurance anguishes have forced patients to search for low-cost treatments abroad. Major delays in obtaining access to treatment in local health-care facilities also encourages patients to travel overseas. In the USA, over 47 million Americans lack health insurance. Even the underinsured Americans often cannot obtain affordable care at local hospitals and clinics. “Approximately 19 million people in the US are either uninsured or underinsured, which makes them unable to bear the high cost of treatment in the US,” stated Faisal Ghaus, Vice President of TechNavio. "The international medical marketplace is about to take off," stated Marty Makary, M.D., a leading hospital quality and safety expert based at the Johns Hopkins University School of Medicine in Baltimore. "We're living in the era of the high deductible — $10,000 in the bronze family plan under the new health law. People are paying more and looking to cut costs." Evaluated by company analysts at VisitandCare.com, Mexico was the top visited medical tourism destination of 2014, with Turkey, Cyprus, Lebanon, and United Arab Emirates rounding out the list of the top five. To determine the top destinations, the team reviewed 47 countries — all growing at a fast pace due to an aging population, high-tech medical specializations, adoption of innovative technologies, impressive after-care protocols, and better exchange rates in the economy as a whole. “Our goal is to raise awareness of the high level of quality healthcare and affordable costs available in various countries and to help stimulate a stable growth pattern for our partnered medical providers. When we increase connectivity between patients and our healthcare providers, everyone benefits. It’s a win-win.” stated Tolga Umar, CEO and Founder of VisitandCare.com.